“Pocahontas”: an insult, or an inspiring diplomat and politician? I’ve been meaning to write for weeks about Donald Trump’s nickname for Elizabeth Warren. As a historian who has written a few books that include some Algonquian (Eastern woodlands Indian) history, and a lot of women’s history, it’s been on my mind. Trump is referring to a controversy Warren faced over her ancestry during her 2012 Senate campaign. This became an issue during her campaign when reports emerged that Harvard had once touted her Native American heritage as proof of its faculty’s diversity. Warren, however, couldn’t produce definitive proof of her Cherokee ancestry, and neither could genealogists. This led to speculation that Warren had been a fake “diversity hire,” or that she had abused the affirmative-action system to gain an advantage over other candidates. 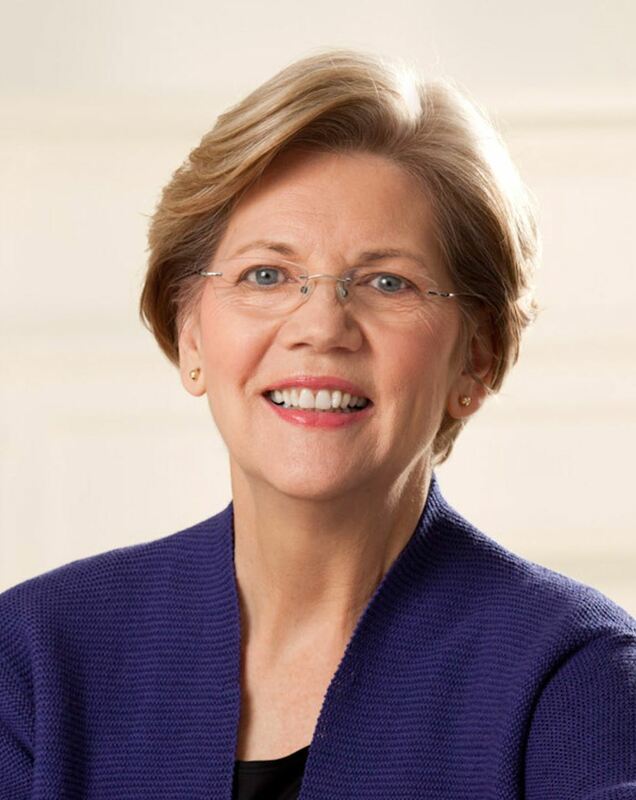 However, as Garance Franke-Ruta reported for the Atlantic in 2012, there’s no evidencethat Warren ever used claims of Native American ancestry to help her get a job. Trump seems to think that sneeringly referring to Warren as “Pocahontas” is an insult, when throughout American history, elite white families have been eager to claim direct descent through her son, Thomas, with her English husband John Rolfe. (Americans still love to hope or believe they’re descended from Pocahontas–just Google it sometime.) Even when Anglo-Americans were at war with various Native American nations–that is, for the majority of American history–white people have clamored to associate themselves with the first and most glamorous dynastic marriage in Anglo-American history. It wasn’t because they loved living Indian people who were still alive or wanted to live near or with them. It was because Pocahontas was and still is a safe fantasy ancestor for the reasons suggested in the “Cherokee Grandmother” blog post above: Pocahontas is a vivid example of the power and promise of European colonialism. 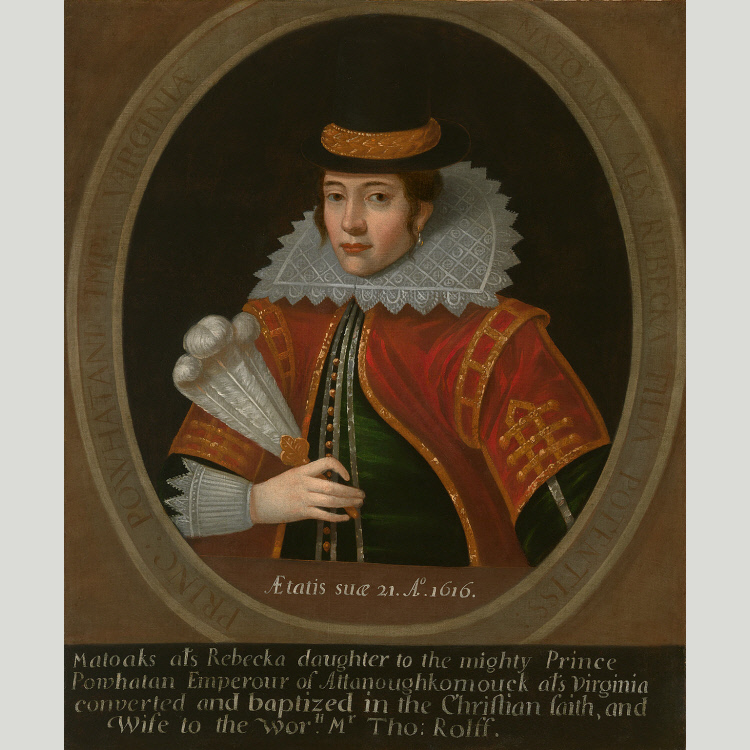 Yes, she was born Matoaka, the daughter of the powerful Sachem, Powhatan (although as Camilla Townsend explains in her 2005 biography, Pocahontas and the Powhatan Dilemma, she was probably not the child of one of his more favored or high-status wives.) She undoubtedly did the best she could for herself and her family in a time of international conflict, environmental stress, and warfare, as Townsend argues. There’s a reason Americans like to love Pocahontas, the war captive-Christian convert-dutiful wife-and tragic-death Pocahontas. She embodies the white American fantasy of the vanishing Indian, one who was vanquished and then vanished in the blink of an eye, three years before the Pilgrims founded Plymouth: they were so good, then so tragically gone, and now the land is ours. Using her name like an insult isn’t an insult to Elizabeth Warren; it’s a shocking display of contempt for the tragedies inherent to colonialism, and for the centuries of Native American women’s suffering that Pocahontas’s life and death symbolize. Would Trump sneeringly call someone an “Anne Frank” for mistakenly believing she had Jewish ancestry? Would he viciously spit out the name “Sojourner Truth” if she claimed enslaved ancestors? Probably not–history equals tragedy plus time, after all, but we all know how addicted to insulting women Trump is. We in the majority, the decent Americans, should remember the real history of Pocahontas, a child war captive and teenage bride who died trying to make peace with the English colonial vanguard. As Townsend’s book makes clear, she must have been a child, a teenager, and a young woman of incredible intelligence, tact, and political and diplomatic judgment beyond her years. Would that Trump thought she was worth emulating rather than insulting and belittling her. ← Brexit for dinner tonight in the U.S. Thanks, Tim! I was so focused on the shocking evocation of a repeatedly traumatized child as a strategy for political insult that your point hadn’t occurred to me. Another thing that hadn’t occurred to me, and which is also probably giving Trump way too much credit: Pocahontas was nothing if not open to immigrants/foreigners, sometimes at the tip of a spear (coerced), but also sometimes voluntarily (as in the case of her marriage, to which she had to indicate consent.) Maybe Trump sees P. as a symbol of what happens when you’re nice to strangers? Like I said, probably way overthinking that! Also, because of the way we think about marriage, she helps us believe that the Indians really loved us, and wanted us! So we didn’t do anything bad. Exactly–she had to consent. I had listed her marriage originally among the ways in which she was colonized, but then I thought, no: the English church and common law required the consent of both parties to marry. The historical Pocahontas probably had to put up with the same kind of brassy guff from her uncle, Opechancanough, every time he came around the old place for a family holiday feast. What he saw when he was in Spain that time. What he would do if, or rather when, his brother got out of the way and let him handle these English intruders. How he could, and probably should, have clobbered that little runt, John Smith, when he grabbed him by the ringlet that time. What he would do the next time; and, believe it, there was going to be a next time, even if he had to wait 22 years. On and on, into the night, year after year. Who wouldn’t have gone to London, all things considered? I can very easily imagine Trump insulting someone by calling her “Anne Frank.” I can’t see him calling anyone “Sojourner Truth,” but only because he probably doesn’t know who she is. I think Trump’s choice of “Pocahontas” is quite simple: It’s likely the only Indian woman’s name that he knows. I give Elizabeth Warren the benefit of the doubt on her family’s oral history. It can be hard to prove the existence of a Native American great- or great-great -grandparent because somewhere in the ancestry chain someone was trying very hard to bury that link. Sometimes it was matter of “we don’t tell outsiders” in order to pass for fully white and escape discrimination. Sometimes there were adoptions where Native American children were adopted to white families “for their own good.” Adoption records were sealed to hide the “shame” of non-white ancestry. How do I know this? Several in-laws whose families have exactly that situation. There may be no proof in legal records, but it is in their faces and in their souls. Though appearance doesn’t always correlate. I have cousins who are Mohawk. Their mom, my dad’s sister, was the daughter of Polish immigrants. Their Polish heritage doesn’t mean they aren’t full and proud tribal members. The same for their children — even the one with the strawberry blond hair. Warren;s family history may well be on the nose. But IMHO white people who don’t grow up with active Native American cultural & familial ties should be skeptical of claims about having a Cherokee grandmother in the family tree. Or at least realize that everyone else is going to be skeptical of their claims, just as we quietly roll our eyes when we meet people claiming to be distant descendants of a royal family. My husband actually does have a Cherokee grandma (and a tribal certificate to prove it). He does not have a Cherokee grandpa because his (older, white, alcoholic) grandpa eloped with his grandma when she was 14. Before she got Alzheimer’s we got her one of those write your own memoir templates for her and got her answers bound for all her grandkids. Reading between the lines she had a really hard life. Trump didn’t think up this insult himself. He just opened his mouth and let it rip. A bog-standard anti-Warren slur, sometimes rendered as Fauxcahontas. A great reminder that Trump doesn’t think: he’s all id, all reaction. IOW, exactly what you don’t want in a president. I’m happy to inhabit my sweet, quiet and probably imaginary little corner of the internets without any of that political garbage strewn about. Great post. Last week, I was in DC for a week-long teacher institute (fabulous program jointly hosted by the American Bar Association and a Federal Judicial Center, by the way) – and I had the chance to visit Woodrow Wilson’s house. I thought I had heard something about Edith Wilson’s connection to Pocahontas, but couldn’t remember for sure….until I entered her bedroom, where there are at least three representations of Pocahontas (a copy of the one you linked, a statuette, and a really interesting ink drawing that I suspect may be a very early drawing by a relative?). Anyway, Edith was obsessed by her family’s connection to Pocahontas and very, very proud of it….one of the white elites you noted. Fantastic example! I kind of love the notion that Edith Wilson–who has long been accused of serving as the de facto president after Woodrow’s stroke–was aware of her connection to another important leader and member of a dynastic marriage in American history. Edith Wilson’s interest in Pocahontas makes perfect sense, considering that she came to the White House towards the end of the colonial revival that swept the U.S. after the 1876 Centennial (shortly after EW was born) & reached its height around the turn of the 20th C.
Calling Warren “Pocahontas” is a real insult — to Pocahontas …. Thank you for sharing your knowledge! I greatly appreciated it.